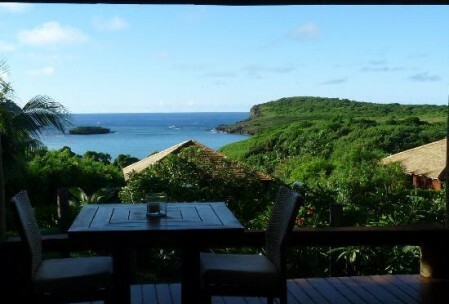 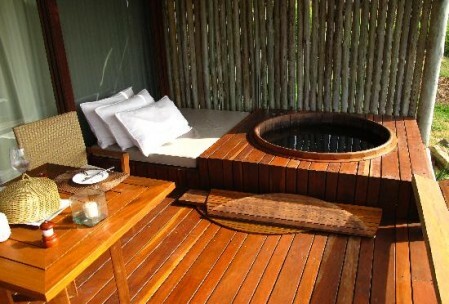 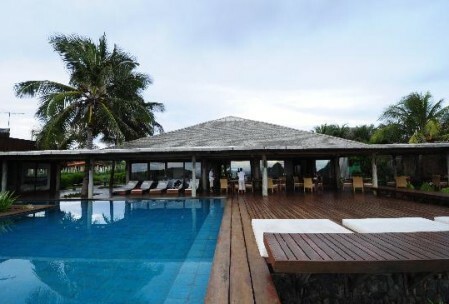 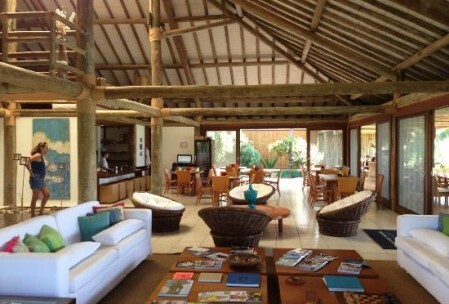 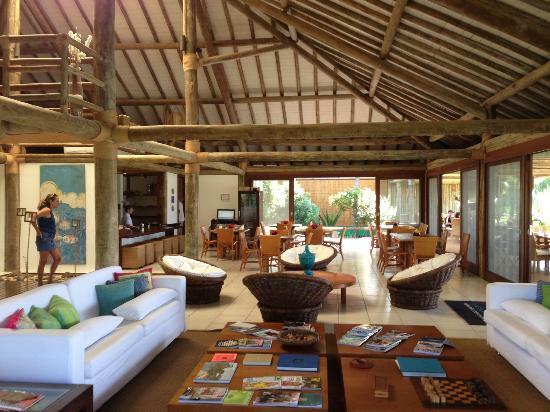 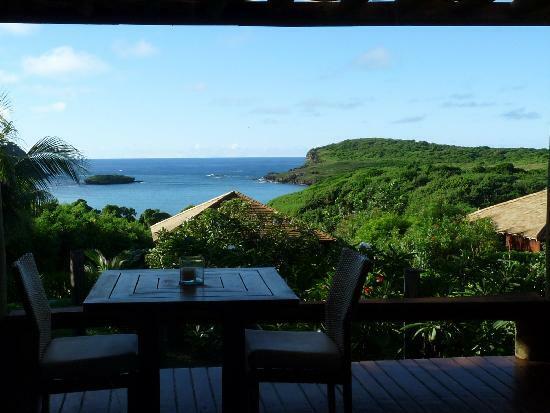 Pousada Maravilha is a luxury bed & breakfast located in the archipalego of Fernando de Noronha Brazil. 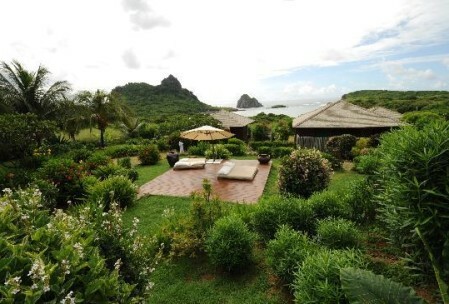 It has just five bungalows and three apartments, all facing the ocean. It seems like the only way to book a room is to call or email. 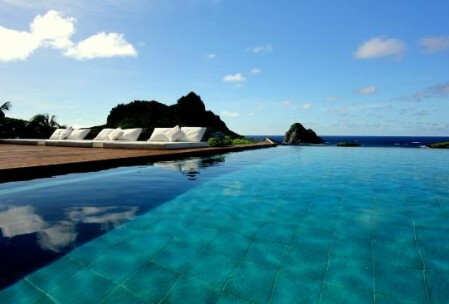 To get here you would have to fly to Natal or Recife and then take a local flight into Noronha. 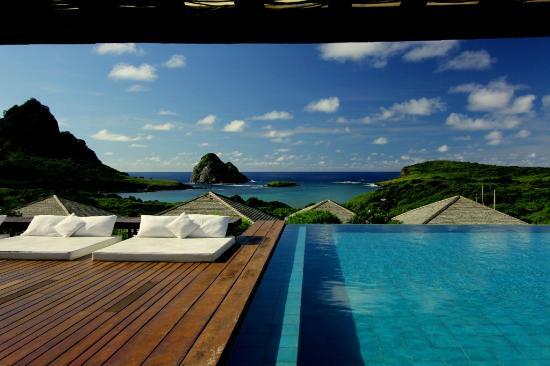 Dreaming is free! 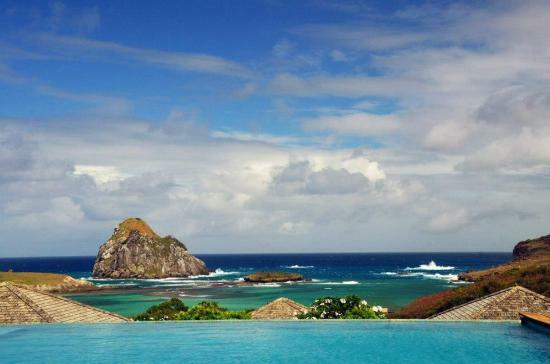 Are you one of the lucky ones who have visited?